I've already written about our feedback culture and how we try to structure work days. This works better every time we have a new person joining our (tiny) team, but there's still a lot of room for improvement. This time, our new intern asked for "clearer goals" in a feedback session. The wish for clearer tasks came up before. As a founder, you don't need clear tasks, a vague direction is enough to keep going. This is why I'm still not used to setting clear tasks and outcomes, and see that as one of my main weaknesses when working with a team: People sometimes don't know what I expect from them. Reviewing community posts, researching, writing content, and communicating with our community are our daily tasks that need to be done to keep our product going. Although doing everything at once can be quite challenging at the beginning, after a few weeks it lacks variety. This is why we added several time slots with additional tasks for more diversity (to help the interns keep learning new things they are interested in, e.g. design, gamification, marketing). 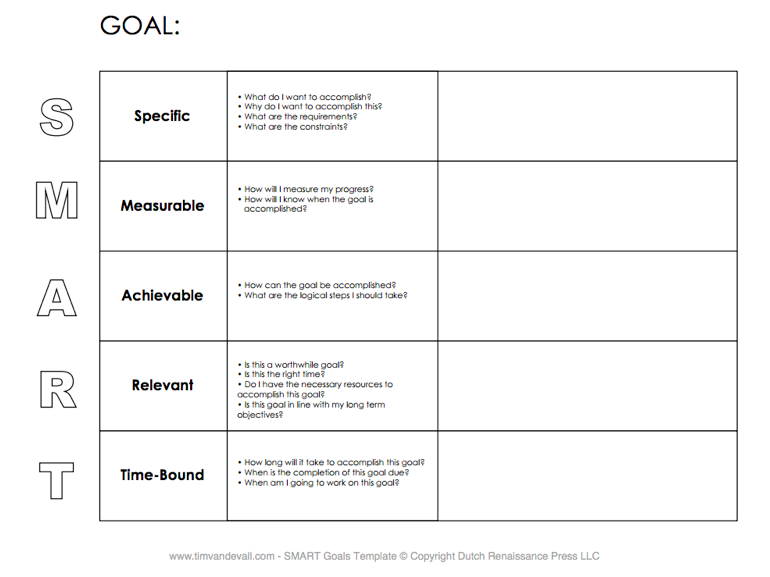 Smart goals are specific, measurable, achievable, relevant, and time-bound. E.g. instead of "work on concepts that bring us more followers on Twitter," a goal would be "increase our Twitter following by 500 (without spammy methods like automated following) until end of November".